because the love of a Chow Never dies. They Remain in your Heart forever"
We are a small kennel Located in FL. We take great pride & love in our chow-dren. We Love to show, breed, and make our chows part of the Family. We stride to Breed the best Quality's in a chow possible. Temperament, Soundness,along with Excellent Pedigree's. We believe with Proper Breeding, Training, and Love a Chow can be a very important Part to a Family. We hope you enjoy our site and look forward to hearing from you chow-lovers! If you have time, please sign our guestbook. 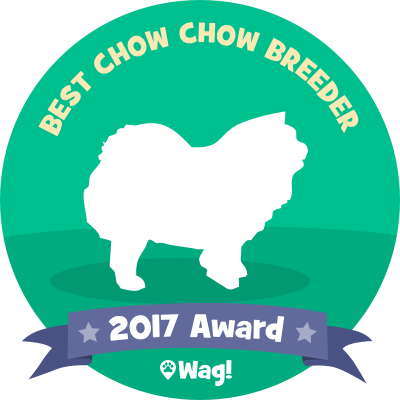 Thunderbolt Chows based in Jacksonville, FL is a Top 2017 Chow Chow Breeder!